﻿ Slip and Fall Personal Injury Law | Waukesha | Milwaukee | Wisconsin | Duffey & Associates, S.C.
Owners of commercial and residential property are required by Wisconsin’s Safe Place Statute to keep their premises in reasonably safe condition, or to warn customers of risks which the owner or operator caused, knows about, or should know about. The statute requires businesses and owners of public buildings to construct, repair and maintain their property to a condition as safe as the nature of the place reasonably permits. 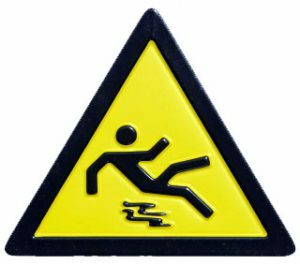 In slip and fall cases, a property owner may argue that the injured party is to blame for the accident. If a person is found responsible for failing to exercise ordinary care for their safety, the amount they may be awarded for damages can be reduced or no award of damages may be given. If you or a loved one has been seriously injured as a result of dangerous premises, then you may have the right to file a legal action. Contact Us today for a free evaluation of your slip and fall case.